Netflix's New, Generous Parental Leave Policy Leaves Some Employees Out : The Two-Way Netflix made headlines this week with the announcement. But NPR has found the policy doesn't extend to people who work at Netflix DVD distribution centers. NPR has learned that Netflix's new policy of yearlong parental leave applies to employees of its streaming business, but not those in Netflix DVD distribution centers. 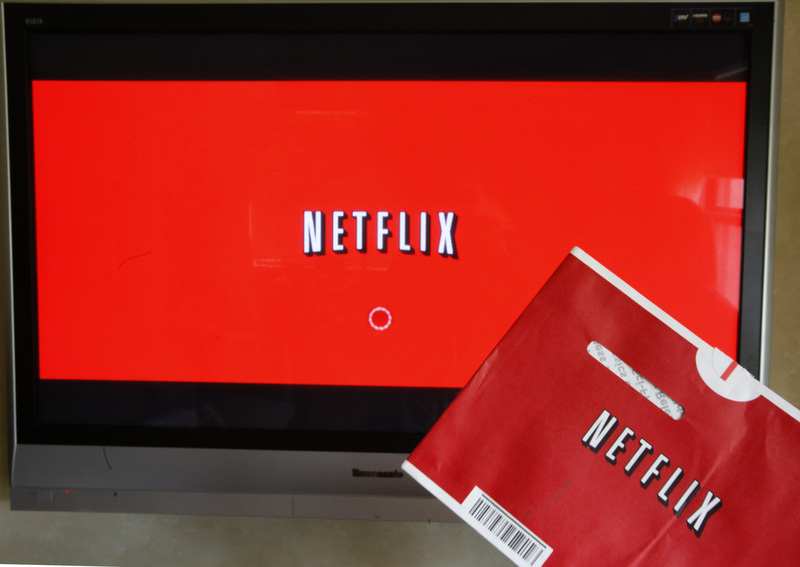 Netflix maintains a network of DVD distribution centers across the country. Workers there typically report for their shifts at 2:00 a.m. and according to job postings, the work in these centers can be physically demanding and repetitive. It involves lifting, sorting and inspecting thousands of DVDs for damage. These employees are offered vastly different benefits than are their white-collar colleagues. In a blog post Tuesday, Netflix announced that it would begin allowing unlimited leave for new parents, allowing them to take off as much time as they want during the first year after a child's birth or adoption. Netflix said it's part of the company goal to foster a "freedom and responsibility" culture — allowing employees "to make their own decisions along with the accompanying responsibility." Under the new policy, Netflix says new parents can come back to work part time or full time, or return to work and then leave again as needed during that first year of parenting. "We'll just keep paying them normally, eliminating the headache of switching to state or disability pay," the statement said. "Each employee gets to figure out what's best for them and their family, and then works with their managers for coverage during their absences." When asked how many employees this new policy applies to, a Netflix spokesperson told NPR that the policy only applies to "salaried streaming employees," not to employees in the company's DVD distribution centers. Netflix also offers high-tech, salaried employees unlimited vacation time. But again, not everyone benefits. How many employees are not covered? The company won't say. Netflix says it has just under 2,000 salaried streaming employees. In January, it reported more than 2,100 full-time employees in its annual report and more than 200 part-time workers. After analyzing job postings and financial statements, NPR believes that at least 400 to 500 employees at Netflix, both full and part time, don't work in streaming or are not salaried, and therefore are left out of the new parental leave policy. Netflix has not yet responded to NPR's request for further detail on the benefits offered to workers in its dozens of distribution centers. However, job postings for full-time employees offer some paid time off, temporary disability insurance and a free Netflix subscription.